A couple of days ago, Map Camera, a shop based in the heart of Tokyo, released sales figures for new and used camera bodies for the month of November. 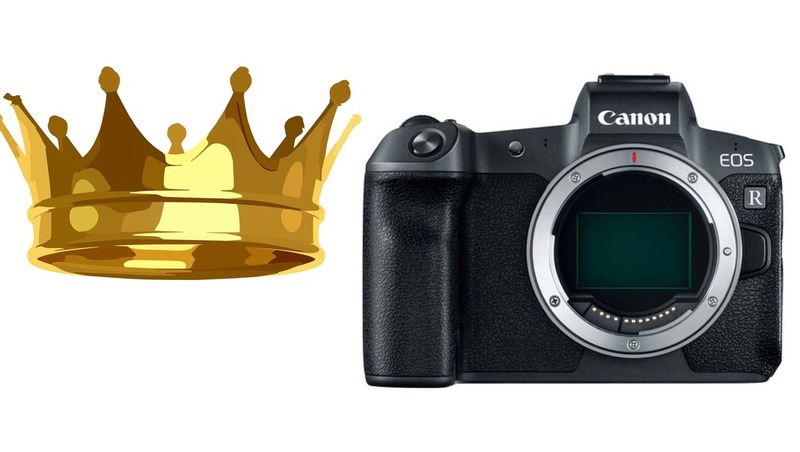 A quick glance at the top 10 list certainly raised a few eyebrows for one main reason: the Canon EOS R was sitting high and mighty above its illustrious counterparts, including the Sony a7R III, the Sony a7 III, the Nikon Z6, and the Nikon Z7. It's fair to say that the Canon EOS R didn't exactly set the world alight upon first release, but as the months have passed, more and more positive user reviews have started to filter through, particularly from people who've actually gone out and bought the camera rather than just reviewing it for a couple days. Indeed, in an article I wrote last week, some of the comments from EOS R users were quite glowing to say the least, as was the video from that article. And the sales results from Map Camera lend support to that positivity. Now, you might be wondering about the veracity or reliability of the source, Map Camera. As a resident of Japan for 15 years, I can assure you that Map Camera is a behemoth in Japan's photography world. In fact, it's Japan's largest retailer of used photography gear and offers fantastic rates for trades and upgrades to new releases. Thus, it has huge numbers passing through each day, because it caters to people wanting to buy, sell, or do both. It's an eight-floor wonderland within walking district of Shinjuku Station, where each floor is dedicated to particular manufacturers. If there's a photography itch you need scratching, no matter how obscure, you can bet your bottom dollar that Map Camera will have a nail for your needs. This year alone, I've been three times to buy new and used gear, and whenever my friends come to Japan and ask me to help with their itinerary, I always reserve a few hours to walk around Map Camera. So, when they release their monthly sales numbers, they're always worth looking at, because they are highly representative of the trends of Japanese photography consumers. I have deliberately linked to the Japanese page, because the auto-translate to English is absolute gobbledigook. But it's simple enough to switch to English once you're on the page. If you scroll down past the top 10 sales list of new cameras, you can also find the top 10 sales list of used cameras for November. There, you'll see the Nikon D750, the Nikon D850, and the Nikon D810 make up the top three. It's interesting to note that in the top 10 sales list of new cameras, seven are mirrorless cameras. 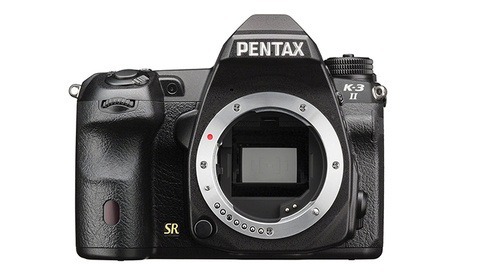 However, in the top 10 list of used camera bodies, seven are DSLRs. Hardly coincidence and a sign of the times? What do you make of the lists? Are you surprised by the results? I'd love to hear your thoughts in the comments below. I’m assuming Canon has the largest market share because, like Apple, they used to set the standard in many areas. Maybe. But as you said, you’re just assuming. The fact remains Canon, at the moment, still dominates market share. Goes to say that fanboyism is over the top, clouding the judgement of the consumer so much they forget what they are looking for and what they need and they simply proceed in buying something just out of brand loyalty. ok? Good job Japan? How bout we get some world wide numbers? I imagine that it will probably be a similar story. It isn't as if Canon is only popular in Japan. Canon is way more popular in Japan than it is elsewhere. If I had them I would freely give them to you. These are simply the November sales numbers from one of the biggest camera retailers in one of the biggest consumer markets in the world. I wonder what camera the Nikon dslr sellers were buying... if Canon's that may discredit the brand loyalty theory. I have noticed that some of the latest reviews here on Fstoppers, by respected photographers, are glowing. I was surprised when one comparison had the dynamic range, ios performance, focus speed and accuracy and video quality of the Canon, even thought cropped, superior or equal to the Nikon and Sony cameras. As a Canon user with a large investment in lenses I will stick with Canon if the performance continues to be positive. Personally I will wait until the next few releases of mirrorless systems before I make the decision to upgrade or not. For now I am encouraged in the direction Canon is going and I think I am not alone. Canon is always slow to innovate but to me when they finally do come out with a product it has quality and dependability. That may be more important to many buyers than pushing the envelope of tech. Do you live inside my head Keith?!? I share your sentiments to the letter with regards to Canon, current situation and future intentions. As for your first question, I don’t know. It could be interpreted that many people have always wanted one of those Nikon DSLRs and now find a good opportunity.....who knows? In the meantime, I’m more than happy with my setup but encouraged by what I’m reading, seeing and hearing in reltion to the EOS R and Canon’s 2019 roadmap. It will sell well for quite some time. And just as sales begin to slip a little, the price will drop (sale price) which will boost sales again. Rinse, repeat. Eventually, it'll be on permanent sale and then larger discounts will be available and sales will go up again. The R has a LOT of positive aspects to it and only a few glaring issues, one of which seems destined for improvement via fw update. Spec-wise, it doesn't keep up with the Z6 or A7III in some areas but outperforms them in others. At the end of the day, for MOST people, it's an excellent camera that buyers will really enjoy. And, again, with the dedicated user base that Canon has and Canon's mastery of price skimming, everyone's expectation should be that the R will be the #1 or #2 camera for quite some time. Here in my country there is a saying that says, "Whoever has Fame lies in bed." No need to look any better, it does not have to be cheap, it just needs to get fame ... Now the world's leading Canon photographers are making such markings as: Mads Peter Iversen and Thomas Heaton (but there's much more ... ). Perhaps with the disclosure and with time Canon no longer have fame and no longer sell like today. Canon's done a better job than the others with their product roadmap, with hints of a 75MP body and some pretty exciting lenses. Whether all that works out, we'll have to see. But a big brand with big plans is a winning combination. As they saying goes, you sell the sizzle, not the steak (that's just the way things work). As for me, I might go with the R, but I'm going to wait and see what that Panasonic FF is like first. The sizzle they sold was to change the mirrorless world forever ! Yet, the steak we got was a tasteless, unseasoned excuse for a mirrorless game-changer. Shows promise? Yes, only because they made a new mount and have already sunk money into a new platform. Outselling Sony’s year or two year old bodies ? Of course, most people have already spent the money jumping ship. Similar to if you wait until the market leader slows to release their new technology... which is what just happened. EOS R went on sale October 25, Nikon Z6 on November 23. So of course they sold more EOS R in November than Z6. 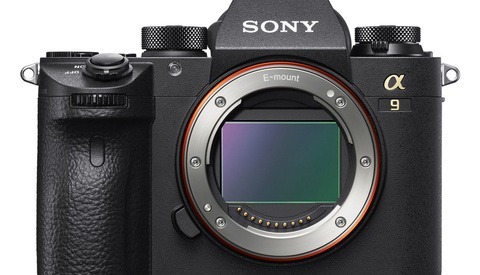 The A7 III has been available for many months, so most people who want it already bought it. Not all, I waited on the big two before deciding what to buy. Needless to say, I didn't buy my Sony A7 III and A7R III until after the Big reveals. My Canon lenses work surprisingly well on the Sony's and supplemented them with some small excellent Sony prime lenses (55mm 1.8, 85mm 1.8, and soon the 24mm 1.4). You’re just one of the smart ones. I have no idea why popularity figures provoke so many comments compared to actual photography articles. Also has a lot to do with insecurity I think. People want to be assured they are amongst peers with the same ideals. Ehh kind of a weird comparison given how nikon has 2 full frame mirrorless, and sony has 9 to choose from, so many buyers are split between that. Canon only has 1. And the nikon came out fairly late in November. The last week of it I think. And a7iii has been out for so long the hype and buzz has died down a lot. I honestly don't understand what that camera store was trying to compare. 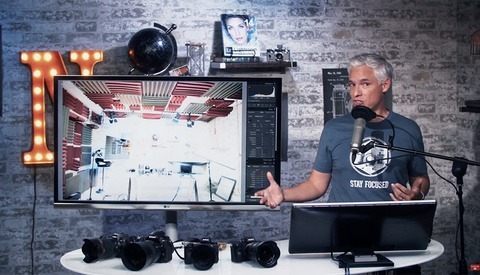 I'd like to see the sale of the first month of a7iii vs first month of canon eos r. That would be a better comparison. I don’t think the camera store was trying to compare anything. It simply published the number of units sold results from the month of November. Nothing more nothing less. This probably because Canon makes cameras for the real world and not pixel peeper, techno-nerds and/or reviewers. Mass market is mostly represented by frequent travelers, pixel peepers and techno nerds. Despite that, I think most professional photographers won't even give a damn who is leading the race. These numbers are more for business people and share holders. It's not the camera I'm buying, but I am ecstatic it was a top performer after being released in this store. Market competition amongst manufacturers and sellers is usually good for all of us.